We’re in the midst of round two of winter storms in less than a week here in Omaha. I’m not complaining, though! I hope to pull out my snowshoes this weekend for the first time. Speaking of snowshoes, the wintery parking lots and sidewalks deserve their own special footwear. I love the snow, but I don’t love the slush, the “snit” (snow + dirt), and the ice. Luckily, these boots have been my lifesavers lately. My roommate ordered a pair for Christmas but wasn’t sure which size she wanted; it just so happened I bought the leftover size from her! Score! These are perfect for walking through the slushy parking lots while remaining 1) warm and 2) stylish. 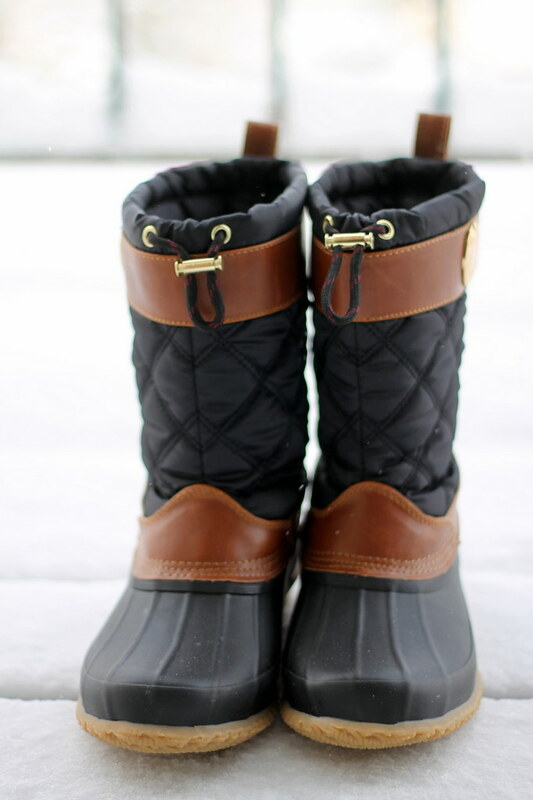 Hard to go wrong with duck boots.